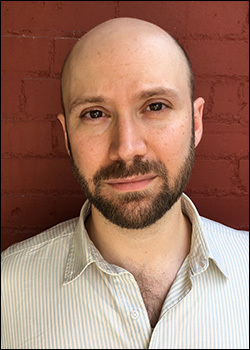 Jon Udelson’s fiction has appeared in Baltimore Review, Fiction Magazine, Ampersand Review, [sic] literary journal, and elsewhere. He is the author of Arabic Tattoos (Mark Batty Publisher) and the co-writer of the comic series Igglish, which is scheduled for publication next year. Jon, his wife, and their greyhound currently live in Louisville, where he’s mad dashing to finish a Ph.D. in Rhetoric & Composition.